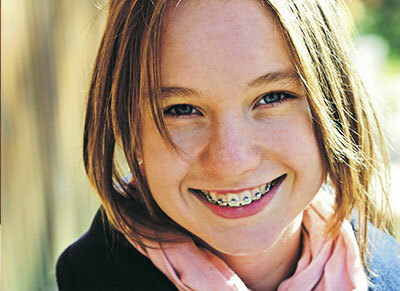 The adhesive used to attach the braces to your teeth cures rapidly, but takes several hours to completely cure. You can eat any time after leaving our office, however, we ask that you remember the list of foods that may be harmful to your braces. Until you become accustomed to eating with your new braces, you may find it beneficial to follow a diet consisting of all soft foods. Initially, the braces feel like they stick out. This is normal. As you become accustomed to your braces and tooth alignment improves, this sensation will cease to be a concern. Although the brackets have been rounded and smoothed, until the cheek tissues have toughened, you may find it helpful to use a small piece of orthodontic wax around the bracket that is creating the irritation. Some teeth, usually the front teeth, may be tender and sensitive to pressure. Occasionally, patients report that they experience no discomfort, but most patients have some soreness beginning during the first few hours and dissipating within a day or two. Exactly when the discomfort ceases is impossible to predict and differs with each patient. Non-prescription pain remedies are recommended for discomfort. For maximum effectiveness, it may be best to take such medications before the discomfort begins. Using your finger and tongue, check to see that the wire ends do not extend into areas which might poke the cheek or tongue.